Wrangell is the only community to be ruled by 4 Nations and 3 Flags: Tlingit Nation, Russia, Great Britain and the United States. Wrangell is home to the very first (and only) USGA approved regulation golf course in Southeast Alaska, Muskeg Meadows Golf Course. Visitors to Wrangell can see a large concentration of petroglyphs, which are thought to be 4,000–8,000 years old. 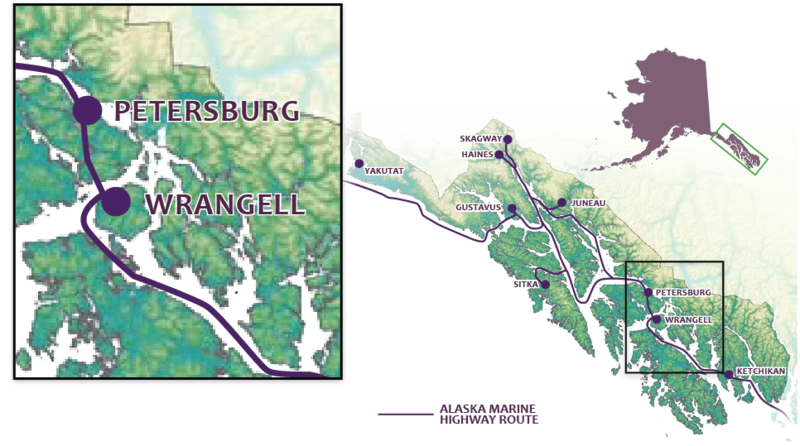 The Stikine River is the fastest free-flowing navigable river in North America. The oldest known Tlingit carved house posts in existence, dating back to the late 1700s, are on display in the Wrangell Museum. Wyatt Earp served as deputy marshal of Wrangell for 10 days on his way to the gold fields.